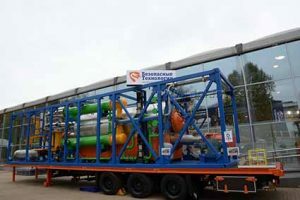 17th International Exhibition for Equipment and Technologies for Oil and Gas Industries NEFTEGAZ-2017 will be held on April 17-20 in Moscow Central Exhibition Complex ‘Expocenter’. The event will gather the leading figures from different countries to discuss the most pressing challenges, get to know the innovations in the field of oil and gas extraction, transportation and processing. 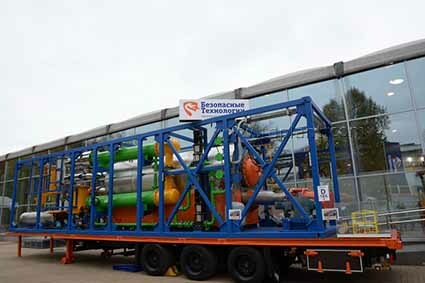 IPEC will present to the participants and guests of the trade show the updated pyrolysis unit TDP-2-200.M designed for the drilling waste processing. Combustion chamber is equipped with an additional screw system providing an increase in the raw material heating surface that significantly improves the process productivity. Krasnopresnenskaya nab., 14, Central Exhibition Complex ‘Expocenter’, Moscow, Russia. Pavilion №1 (Open area), booth 3-20 (Safe Technologies Inc.). Follow the link to get e-ticket.